Whether you live in the United States or France, there’s a high chance you’ve been ingesting microscopic plastic fibers whenever you drink water from the tap. According to the researchers behind the shocking new study, nearly all of the world’s tap water is contaminated. The researchers — who were commissioned by journalism outlet Orb Media — came to this conclusion after collecting and testing tap water samples obtained from over a dozen nations across five continents. In total, 83 percent of the samples were found to contain plastic fibers. Tap water from the United States had the highest rate of contamination, with 94 percent of the samples falling under this category. Moreover, every 500 milliliters of tap water was loaded with an average of 4.8 microplastic fibers. 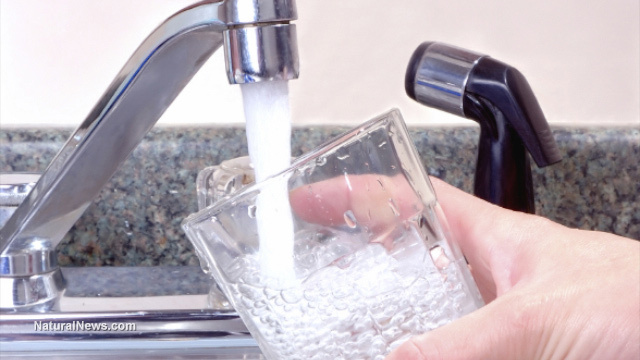 The tap water for the U.S. samples included water taken from the United States Environmental Protection Agency (EPA) and Trump Tower in New York. As to where the plastics are coming from, the researchers have stated that they come from seemingly benign sources such as clothing, paints, upholstery, and even personal care products. In their study, the researchers named synthetic clothing materials such as polyester, fleece, and acrylic as the top source of microplastic fibers. They estimated that about one million tons of tiny fibers and fragments are released into wastewater annually, with more than half bypassing treatment processes to seep into our environment. “There are certain commons that connect us all to each other, air, water, soil, and what we have universally found time and time again is if you contaminate any of those commons, it gets in everything,” says Mason. This is a cause for concern since microplastics have been found to attract the bacteria in sewage, as well as contain and absorb toxic chemicals. “Some studies have shown there are more harmful pathogens on microplastics downstream of wastewater treatment plants,” notes Dr. Anne Marie Mahon of the Galway-Mayo Institute of Technology. Cutting down on plastic bag and straw use: Over a billion plastic straws are thrown away each year, and can take upwards of several centuries before fully breaking down. Plastic bags have a similarly lengthy lifespan, and can survive for over 500 years in the ocean. In lieu of these, the researchers recommend utilizing metal straws and reusable bags. Use different toothbrushes: By “different,” we mean opting for toothbrushes made from biodegradable materials like flax, bamboo, and even recycled dollar bills. There’s no guarantee that toothbrushes tossed in the recycling bin will undergo the recycling process, so it’s better to be safe than sorry. Take a walk or carpool: Plastic tire dust is one of the biggest sources of microplastic pollution. Walking, sharing rides with friends, or even taking public transportation, can reduce the amount of plastic tire dust entering our environment. Go to Environ.news for even more stories about our environment and what we can do to protect it.